Julia Robinson Moore (Ph.D., Michigan State University) joined the Department of Religious Studies at UNC Charlotte in 2005. She teaches courses in African American Religion, Religions of the African Diaspora, and racial violence in America. 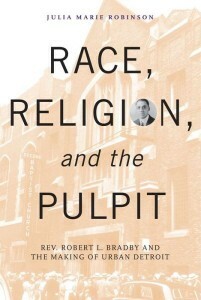 Her first book, Race, Religion, and the Pulpit: Reverend Robert L. Bradby and the Making of Urban Detroit (2015), explores how Second Baptist Church of Detroit’s nineteenth minister became the catalyst for economic empowerment, community-building, and the formation of an urban African American working class in Detroit. Her second book project, Overcoming Race in the Faith: Historical Perspectives in Healing the Divide Between Black and White Presbyterians speaks to the complexities of black and white race relations in America through the sacred context of the Presbyterian Church. 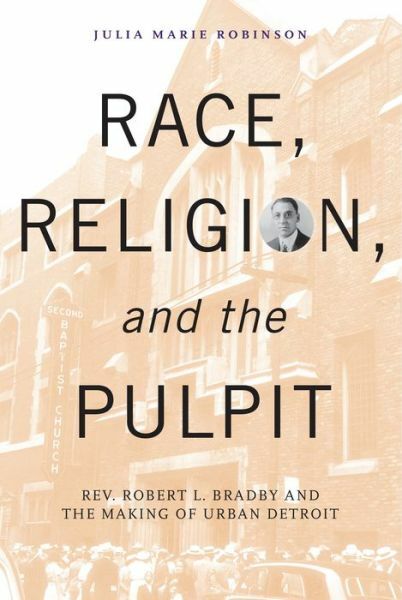 This second work offers a history of race relations within American Presbyterianism with an eye towards healing the racial divide with the larger Presbyterian Church. Her third book project is titled, Rituals of Race and Resistance: The Modern Civil Rights Movement Through the Lens of Mimetic Theory, 1960-1968. This third project seeks to situate race as a category of analysis within mimetic theory through the study of violence and non-violence in the Modern Civil Rights Movement during the 1960s. Sermon, King University, “Why Should Christians Care About Racism,” King University Chapel, Bristol, TN, November 2017. Lecture, The Racism Task Force of the Presbytery of Charlotte, “Solutions to Social Injustice Against African American Males,” First United Presbyterian Church, Charlotte, NC. November 2017. NPR Discussion with Tim Funk, religion writer for The Observer and Kris Norris, Baptist pastor and author of Kingdom Politics: In Search of a New Political Imagination for Today’s Church, August 25, 2016. Community Lecture and Book Signing: April 26, 2015 in Detroit, Michigan. Trained as a historian and religious studies scholar, my work focuses on the intersections of racism, religion, and racial violence within American Protestantism and the African Diaspora. I am committed to studying the ways in which religion has often been used to justify acts of racism, racial violence, and terrorism in order to unearth strategies for justice, healing, and societal reform.